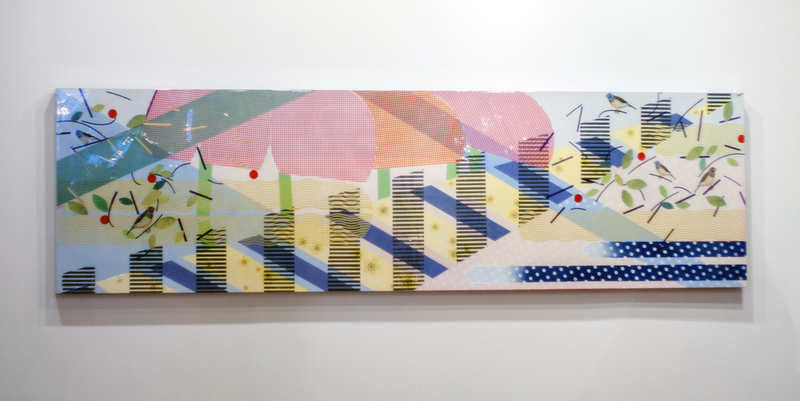 “Murmurings” is an exhibition that incorporates the artwork of two very diverse but conceptually and visually cohesive artists, Noelle Allen and Christine Remy. Remy’s work is technologically driven and is produced in San Francisco while Allen’s sculpture is intensely handmade and rooted in a traditional artistic practice here in Chicago. The juxtaposition of these two very different modes of production is at once counterbalanced by a sustained interest in the natural and organic. 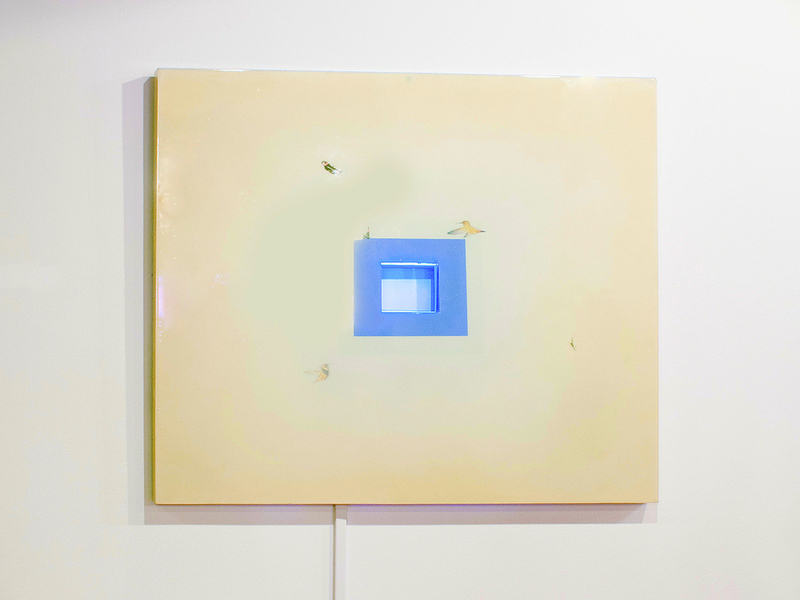 A formally trained painter who started working with technology in her forties, Remy creates large-scale, wall-mounted installations of LEDS and paintings/scrims that incorporate animated LED lights behind panels. The raw footage of simple moments, such as a flower unfolding, transforms the panels into meditative, yet psychedelic juxtaposition of nature with technology. It is, at once, a natural fallacy. Remy herself says, “The medium of Light is the common element by which I try to speak to the viewer about new ways of experiencing seemingly natural phenomena”. Allen, on the other hand, creates experimental, interdisciplinary sculpture that moves fluidly between different media and processes. A process-driven artist, Allen makes her own clays and plaster amalgams in the studio and has developed distinctive mold making techniques with materials as diverse as resin, alginate, and latex. In ”Murmurings”, both artists have collaborated to produce work that meditates on the seasonal shift from winter to spring. Referencing cocoons, seed pods, flowers, bees, tumbleweeds, and wasps Allen and Remy examine new growth. The ephemeral, transitional work navigates the space between decay and new possibility.